As an airline passenger, you may not be able to stop a storm from keeping your flight on the ground or prevent an error with booking from ruining your trip - but that doesn't mean you're powerless. 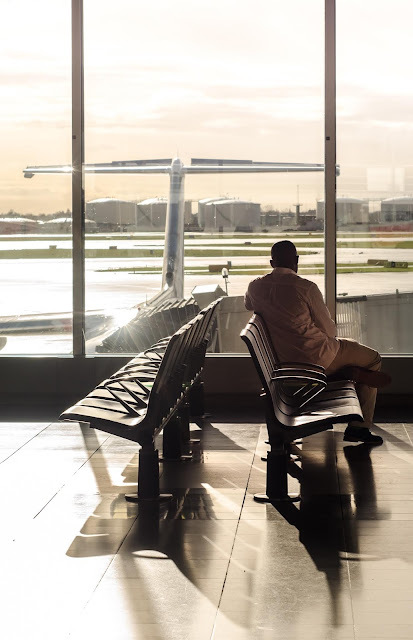 A lot of people assume that they simply have to grit their teeth and bear it when their flights are delayed, but you may be eligible to compensation depending on the airline that you fly with and the nature of your delay. The good news is that no matter the circumstances, you have rights as a customer. With that in mind, it's important not to lose hope when you see the "DELAYED" sign flash up next to the name of your flight. Just keep the following tips in mind and stay calm. With a little luck, you've already looked up the details about flight compensation and delays on your airline website. If you haven't, that's fine, but you will at least need to know the number or contactdetails for the airline so that you can contact them as quickly as possible when something goes wrong. The faster you can get in touch with customer support, the easier it will be for you to get you and your family onto the next available flight. What's more, you'll be able to ask for advice on the things that you need to do to get any compensation that you're owed. There's a good chance that you'll struggle to get through to customer service on the phone or speak to an agent in person when your flight has been delayed. After all, there are plenty of other customers besides you that want answers as quickly as possible. If you find that this is the case, the best thing you can do is head to your airline's social media page. A message posted on their page is sure to capture the attention of the social team, who will direct you to the right member of staff as soon as possible. There are certain rules around flight compensation and delays that you'll need to adhere to if you want to make sure that you get the support you deserve. One of the most important things to remember is that you're going to need evidence of your delay, your booking, and your expenses. With that in mind, keep hold of all the documents that might help you to tell your story once you get home or arrive in your destination. If you're traveling with airlines that offer compensation for food, drink, and accommodation during delays, then you will need to keep receipts for these things too. Remember that airlines will not pay for premium meals, alcohol, or high-class hotels, however. Depending on the reason for your flight, a delay could mean a serious problem with your plans. For instance, you might end up being late for an important business meeting that gets you into trouble with your boss. Although you're likely to feel annoyed and frustrated by the situation, remember that the customer service agents that you'll be speaking with to solve your problems have nothing to do with your flight being delayed. Stay calm and be polite. You might find that your agents are more likely to help you if you show them a little bit of compassion during this difficult time. After you speak to someone from your airline about things like flight compensation, switching to a new flight, or anything else to do with your travel, there's a good chance that you'll have some instructions to follow. For instance, you should never leave the airport during your delay unless your airline representative tells you that you will be grounded overnight and it's okay for you to go and seek out accommodation. If you leave the airport and the flight takes off without you, then you won't be eligible for compensation because you missed your flight. Finally, if it's your first time claiming for compensation and you're feeling overwhelmed by the process, it might be useful to simply look for assistance from a professional. There are plenty of companies out there that specialize in helping consumers to make flight delay and cancellation claims. Tracking these people down could mean that you have an easier time getting the money that you deserve.